And where we had thought to be alone, we shall be with all the world. Driving north Friday afternoon, May 19th. 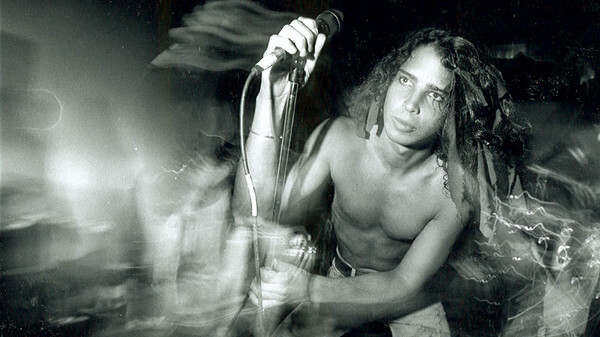 May 19th, snowy Colorado cold, my heart cratered and crushed, the talented and beautiful Chris Cornell dead and gone, and me and the hubster with tickets to a Soundgarden show that will never come to be. Life is full of surprises, some magical in their beauty, some terribly sad. And these photos, taken in my grandparents neighborhood, which, save a Halloween when I was a wee child and have zero recollection, I had never really walked. So, many thanks to Ms. Juni B., without whom we never would have had reason to so thoroughly explore and spy a Wiley Coyote live and in person. What a privilege! There was much that brought us north – a party to celebrate the son of a bestie graduating from high school (woot! ), my own sweet nephew’s graduation (double woot! ), and to spend time with my Grandpa. My Grandpa who is ninety-three and has cancer tendrils winding ever more thoroughly through his body. My Grandpa who now needs an oxygen snake following him about the house. My Grandpa who cries tenderly over the loss of my Grandma and looks with love and bewilderment at her beautiful face at every stage of her life. My Grandpa who I spoil with chocolates and his favorite home made meals – hollandaise with roasted asparagus, biscuits and gravy, and take out from our favorite (and BEST) tamale place – Moreno’s on Morrison Road – red, always, always red. We don’t speak of the inevitable, but it hovers and dances while we laugh and listen to our favorite songs.